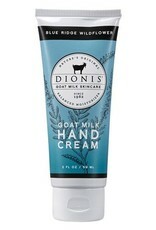 Experience the restorative qualities of nature's richest ingredient - goat milk. 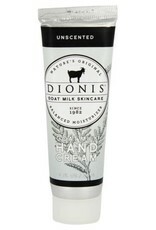 Nourish skin with a fresh delivery of milk, full of vitamins and proteins to replenish moisture. 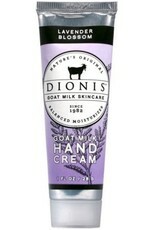 This vitamin rich, non-greasy formula absorbs quickly and completely for lasting protection. 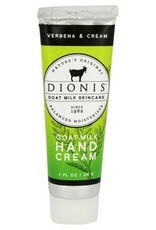 Use it on hands, body or wherever dry skin occurs. 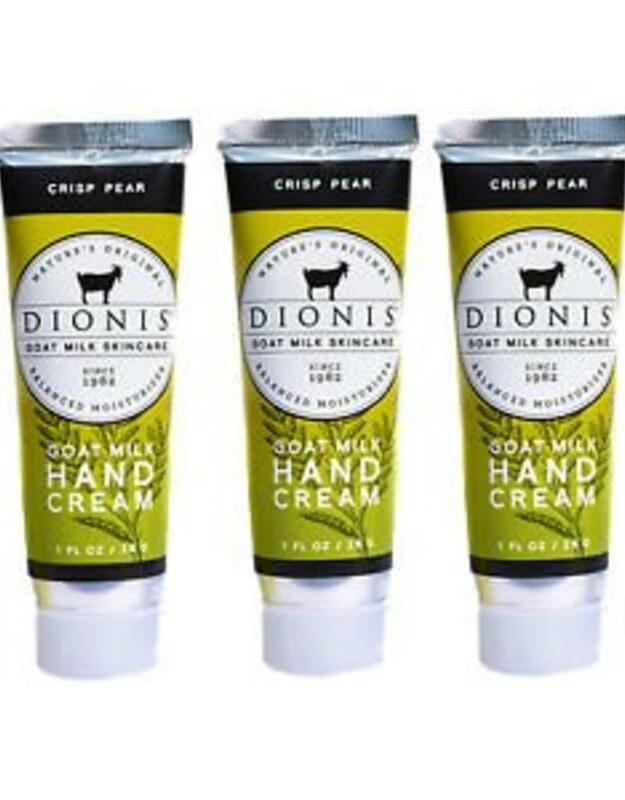 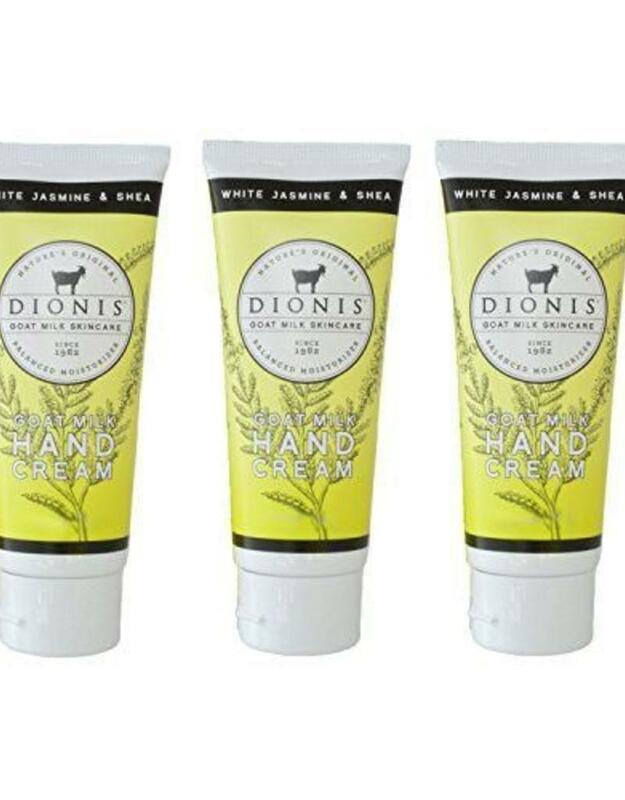 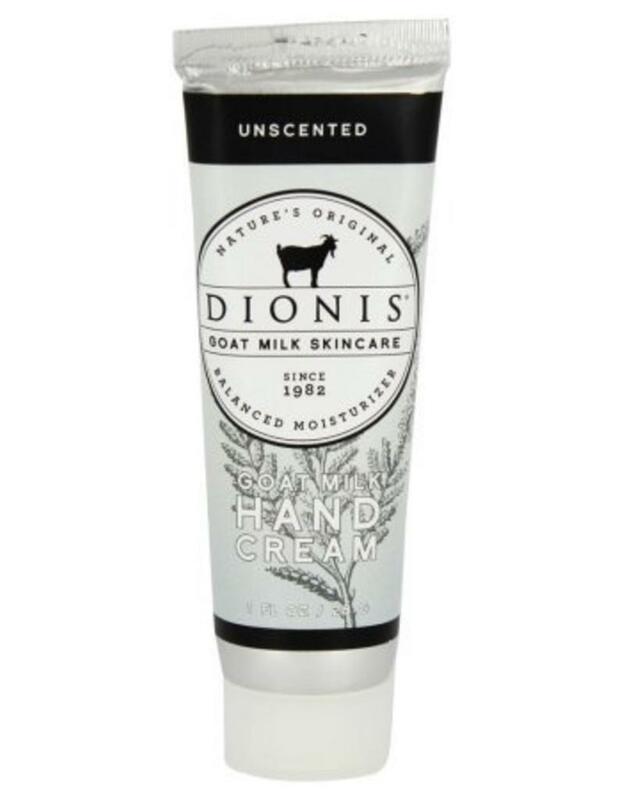 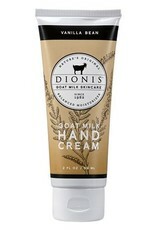 Dionis extra rich hand cream is gentle enough for everyday use! BlueRidge Wildflower: A light floral scent that evokes the glory of Virginia's upland meadows. 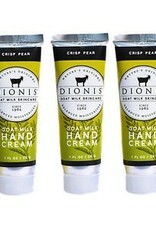 Crisp Pear Hand Cream: A luscious sweet smell of crisp pear with sugar on top. 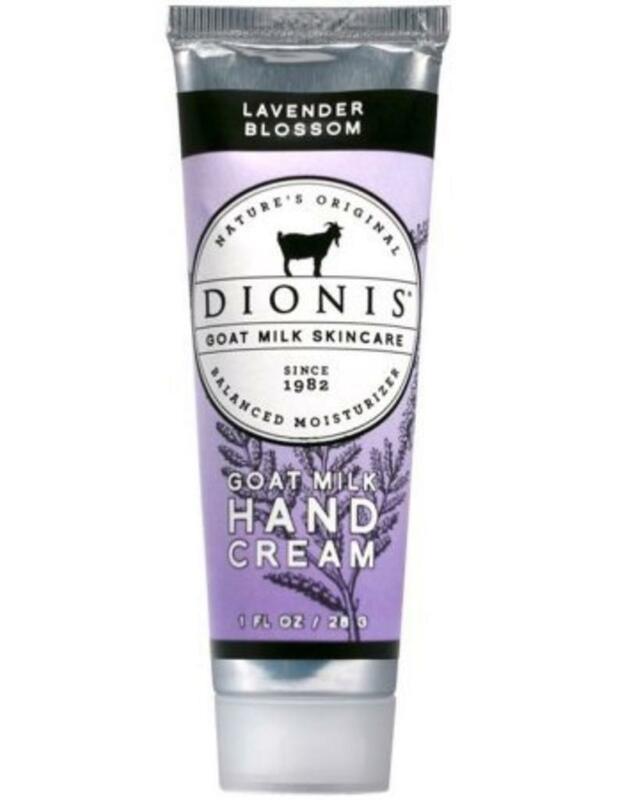 Lavender Blossom: Delightful Aurelian lily blossom, juicy orange and cassis, surrounded by jasmine, rose and lavender on a creamy background of coconut, apricot nectar and musk. Sea Treasures: Part of the limited edition summer collection. 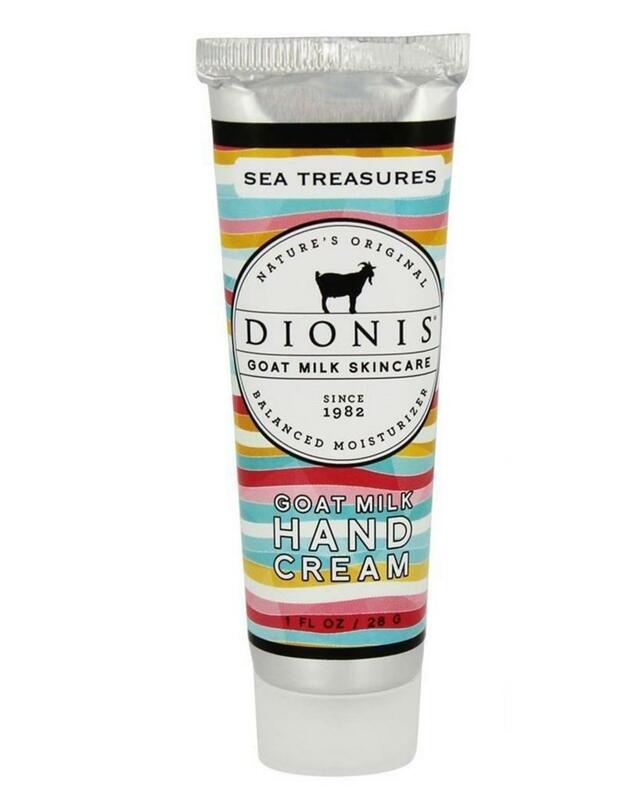 The scent is nostalgic of warm ocean breezes intertwined with the soft floral of Sweet Pea. 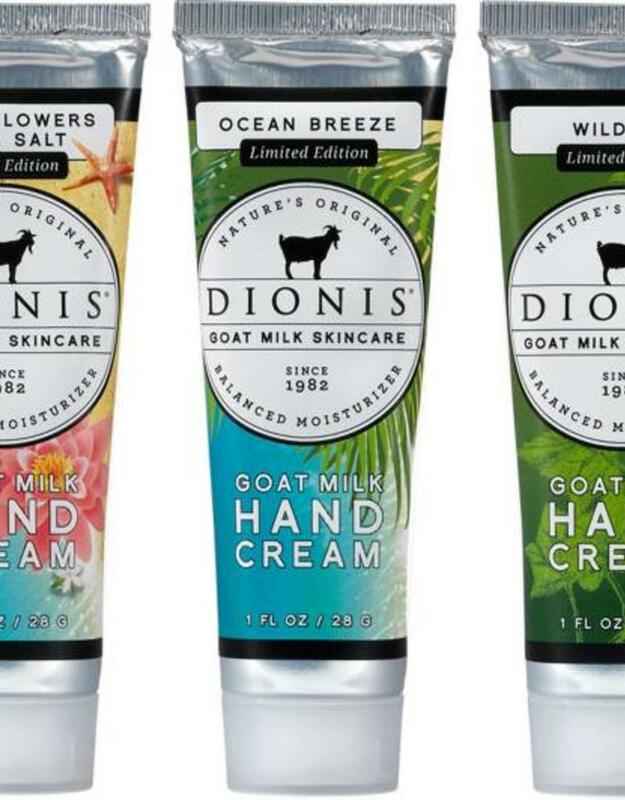 Enjoy this beautiful scent of the seashore while it lasts. 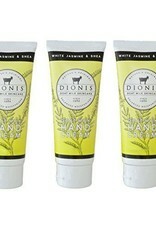 Unscented: Free of fragrance but rich in moisture! 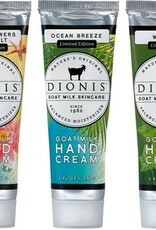 The hand cream is made for our customers who prefer no fragrance, but desire all the benefits that goat milk offers. 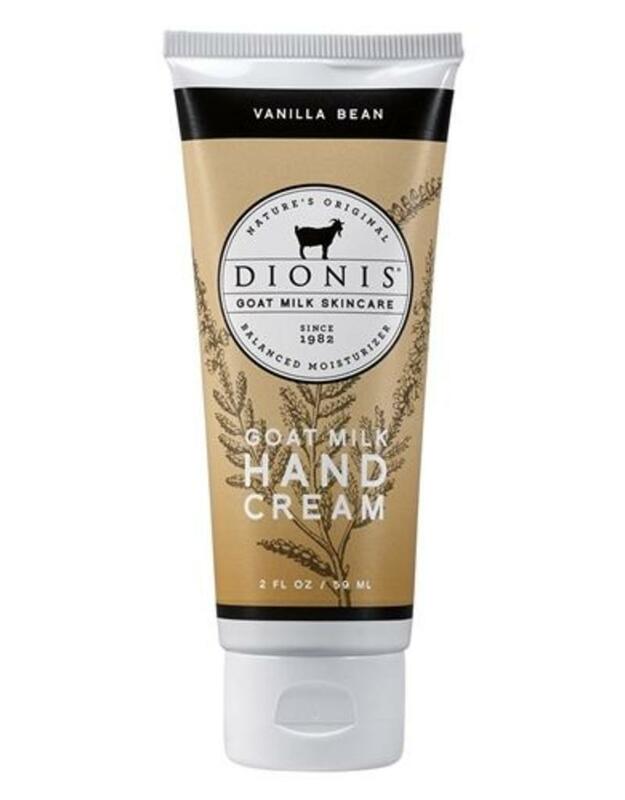 Vanilla Bean: A warm and irresistible fragrance of sweet creamy vanilla! 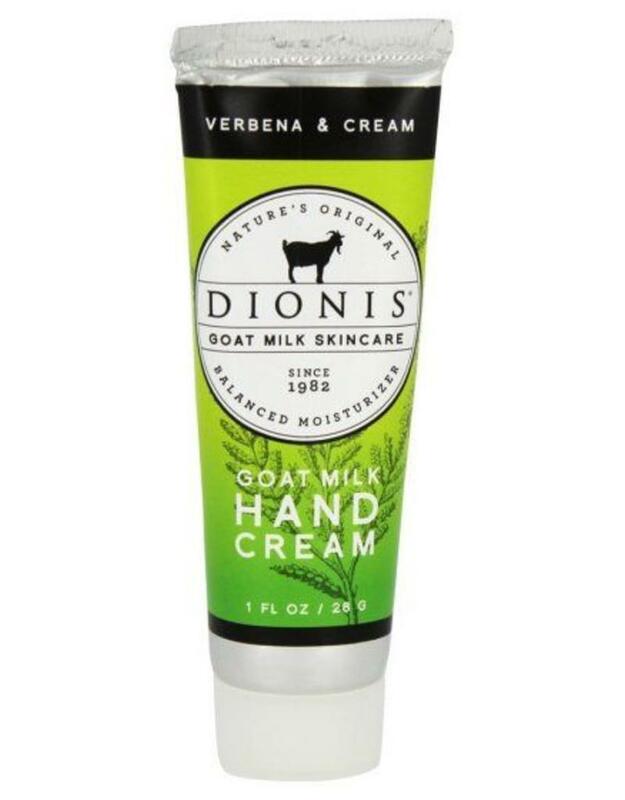 Verbena & Cream: a refreshing combination of lemon verbena with the wholesome goodness of natural cream for an irresistible crisp scent.